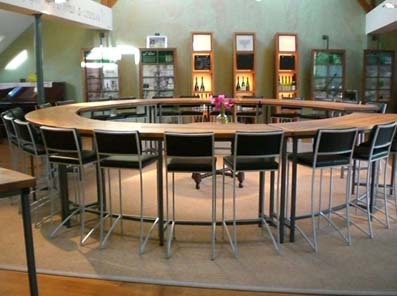 Especially designed to receive groups of winelovers, this tasting room is just in front of the Kirchberg. You can enjoy the beautifull view on the vineyards and taste wines from the Grand Cru. Only on appointment, for group from 12 to 50 people. Visit and tasting from 8 to 12 € per pers.